The Keeley VoT reverb and tremolo combo give players a simple and beautiful sounding way to introduce the famous Keeley spring and plate reverbs as well as modulated tube amp tremolos to the end of their chain. When you go minimalist, you still consider Reverb and Tremolo. 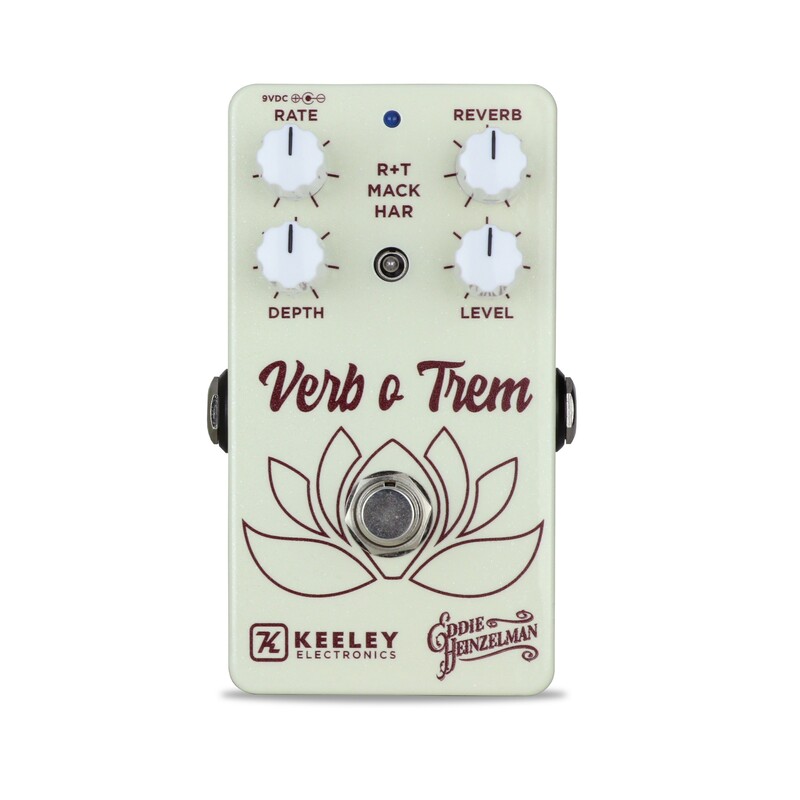 Whether your customer wants a compact board or the power of tremolo and reverb at the same time, the Keeley VoT is a simple and sonically beautiful solution. The Keeley VoT is a single DSP effect workhorse. 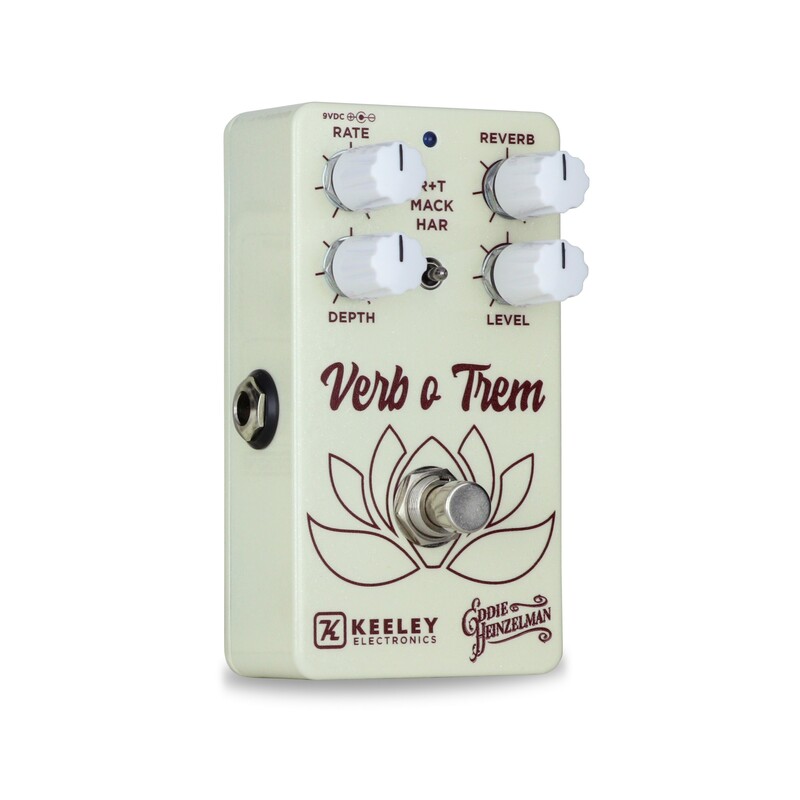 This gives players a compact and elegant way to utilize Reverb, Tremolo, or a combination of the two. These are studio quality sounds we have crafted over the years, refined by working musicians and studio engineers. Reverb mode control: Reverb- Turn up to increase Reverb volume and Decay length. Turn down to decrease Reverb volume and Decay length. R+T – is an organic tube bias type tremolo. This means you hear the tube amp bias change enough to modulate the volume. Mack – This mode is a MagnaAmp style pitch vibrato. Done by carefully changing the phase to illicit silky smooth pitch shift. HAR – Harmonic Tremolo -two filters that we vine around, back and forth, creating a notch filter that gives you that Tower of Flower sound. Set the VoT to be either Reverb OR Tremolo OR Both. Let’s say you just need some ‘verb for the night, simply reduce the Depth control!